A rumor that Congress had inserted itself into the discussion of Internet Policy led to a quick search of Internet resources to determine what might have happened. In the end, the result was a little surprising and not quite as political as might be expected. Certain, it shows the power of information technology to put actions into public display. Posted in 2015, podcast. 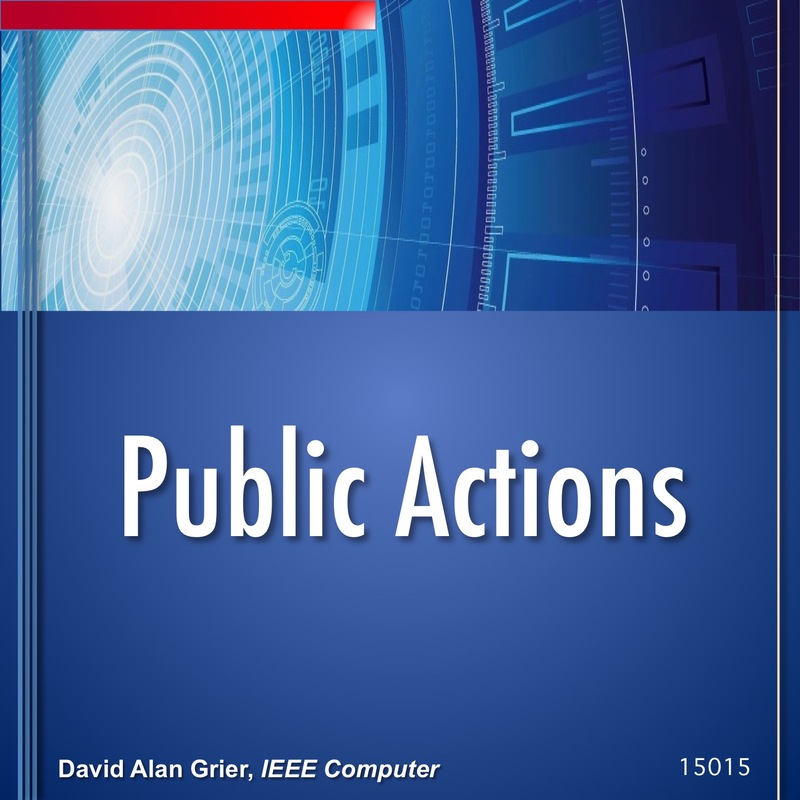 Tagged 15015, congress.gov, context, DNS, iana, ieee-usa, internet governance, public record. Errant Hashtag, the podcast, is based on an essay published every month in IEEE Computer. It written by David Alan Grier, the computer scientist. In addition to this podcast, he produces the weekly podcast "How We Manage Stuff"